Skills you'll learn Routing rebates, drilling, biscuit joining, dowel joining, and using brackets. This 5-week session introduces you to a selection of power tools and how they are used in cutting and joining plywood by routing rebates, drilling, biscuit joining, dowel joining, and using brackets. You will master common and versatile techniques that can be employed reliably across a range of woodworking projects. 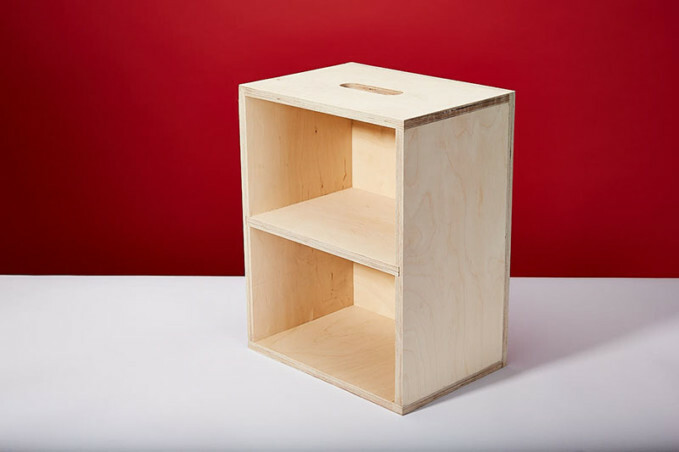 At the end of the course you will have constructed a strong, multifunctional, open fronted box that can be used as a stall, a step, a bedside table, or a wall mounted shelf.